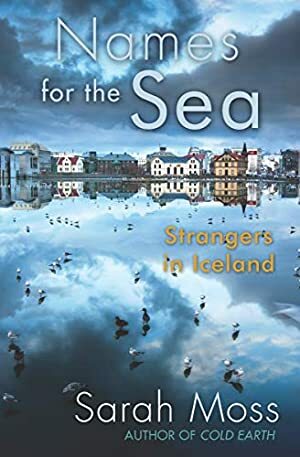 A memoir of a family's year living in Reykjavik that "captures the fierce beauty of the Arctic landscape" (Booklist). Sarah Moss had a childhood dream of moving to Iceland, sustained by a wild summer there when she was nineteen. In 2009, she saw an advertisement for a job at the University of Iceland and applied on a whim, despite having two young children and a comfortable life in Kent, England. The resulting adventure was shaped by Iceland's economic collapse, which halved the value of her salary; by the eruption of the volcano Eyjafjallajokull; and by a collection of new friends, including a poet who saw the only bombs fall on Iceland in 1943; a woman who speaks to elves; and a chef who guided Sarah's family around the intricacies of Icelandic cuisine. Moss explored hillsides of boiling mud and volcanic craters and learned to drive like an Icelander on the unsurfaced roads that link remote farms and fishing villages in the far north. She watched the northern lights and the comings and goings of migratory birds, and as the weeks and months went by, she and her family learned new ways to live. Names for the Sea is her compelling and very funny account of living in a country poised on the edge of Europe, where modernization clashes with living folklore. We started tracking this book on July 1, 2013. The price of this book has changed 28 times in the past 2,119 days. The current price of this book is $7.30 last checked 10 minutes ago. The lowest price to date was $1.99 last reached on April 12, 2019. This book has been $1.99 3 times since we started tracking it. The highest price to date was $12.16 last reached on December 1, 2017. This book has been $12.16 one time since we started tracking it. We last verified the price of this book about 10 minutes ago. At that time, the price was $7.30. This price is subject to change. The price displayed on the Amazon.com website at the time of purchase is the price you will pay for this book. Please confirm the price before making any purchases.